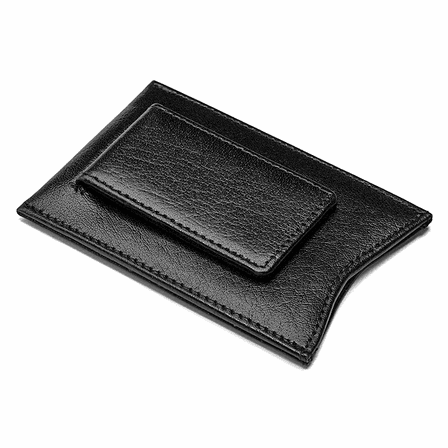 The Primo leather magnetic money clip wallet is sophisticated and the ultimate in executive professionalism! It's genuine leather in black or tan, and is streamlined, with room for a few credit cards a photo ID, and even a few business cards.The magnetic money clip can hold up to 10 folded bills, keeping today's modern man looking organized and in charge! Add a custom look with up to 3 initials embossed free of charge! 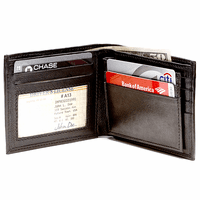 We will package your wallet in a gift box, and will ship it out within one business day! Dimensions: 2 3/4" x 4" x 1/4"
Can the initials be in 2 different size fonts, as in a shirt monogram with first and middle initials smaller than the last name initial in the middle? No, sorry, the initials would all have to be the same size. The personalization is done using a hot stamp and the metal block letters for the hot stamp are all the same size. How many bills can the magnet hold? The magnet on this money clip can hold 10 to 12 folded bills securely. We should have the black in stock in about one month. As soon as it is available, we'll have the option to order it in black. If I personalize the moneyclip. is the initial simply embossed into the leather or is there a color added to it? 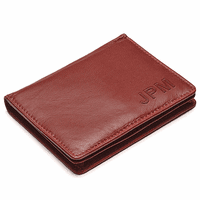 There is no color added, the initials are just hot stamped or branded right into the leather. 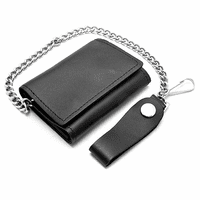 I'm looking for a moneyclip wallet that has a magnetic money clip. Is the money clip on this one magnetic? Yes, this is a magnetic money clip wallet. Do the credit cards Stick out like it shows in the picture ? No, we just show the picture this way to let you know where the credit cards go. They tuck all the way into the wallet slot. A wonderful value! The monogram embossing is beautiful. I highly recommend this product. Amazing quality. The initials imprinted in the corner was a great touch. Just wish the money clip was tighter but it's still perfect. Unfortunately, I had ordered the wrong one but we will just store this one away. This was too small for my husband's needs. The second one I order that had more card holders was perfect. Plus it was hard to get one card in and out. ConsToo small. Too tight for pull out credit card. I thought the money clip was great...my husband has had one for years and it has seen better days so I am excited to have this for him as a Christmas gift. 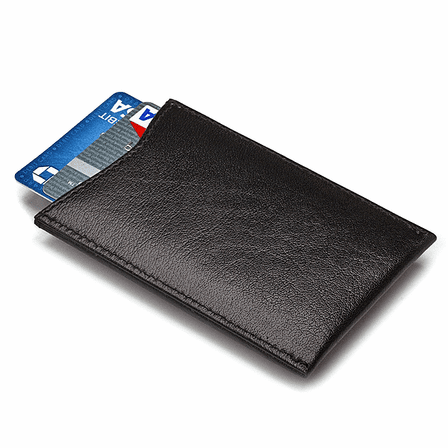 It is so much better than a bulky wallet. Purchased as a gift for my boyfriend because he hated having his bulky wallet in his pocket. He loves this money clip! It is a great size to keep in his pocket and the magnet works great. He has enough room for his license and 2 credit cards. The product looks professional and expensive. It was also shipped fast. Definitely would recommend. I bought this as a gift for my husband. It is nice but did not come engraved as I had specified. I am still giving it to him because it is hard for me to get time to return items. 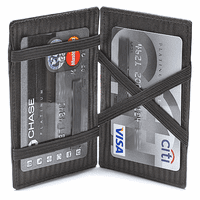 Strong magnet in clip;holds lots of bills.Credit card pocket a little snug.